Supports and customizes tarps and shelters. 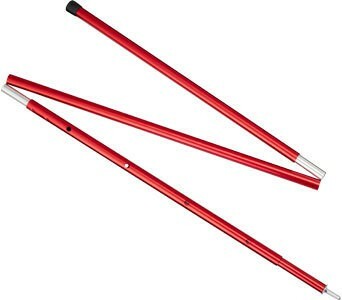 The collapsible aircraft-grade aluminum shaft is light and easy to pack. The adjustable pole has a range of 208 to 259 cm, a common height range for mid-size tents.